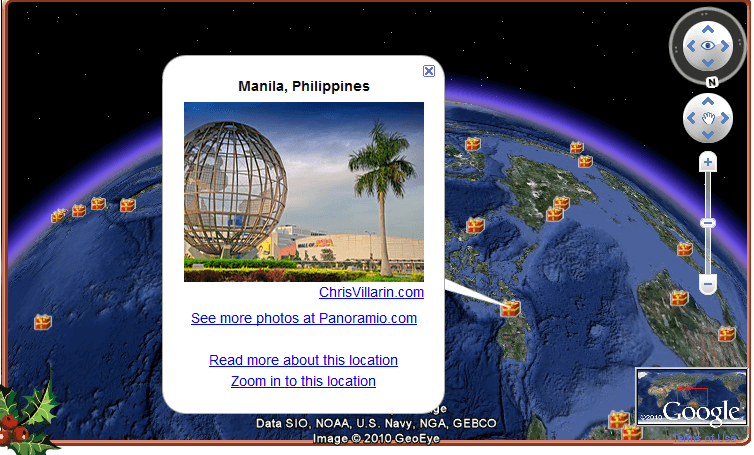 Did you know that you can follow Santa Claus wherever he goes and track him down? 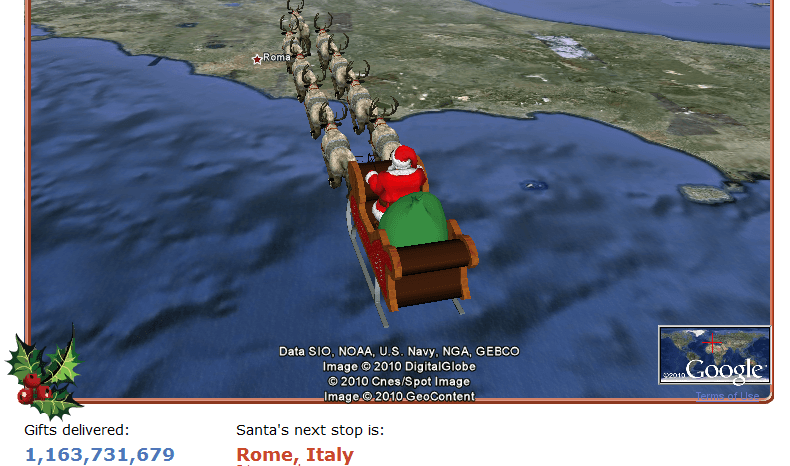 This was when Santa was on his way to Rome, Italy. Iâ€™m not so sure if heâ€™s visiting other areas in the Philippines. Follow Santa via NORAD Santa Tracker here. I’m following Santa now. Let’s see if he works until the morning. Hihi.